The guidelines state that the person in charge of the conveyance has to carry invoice or delivery challan along with a copy of eway bill in physical form or in electronic form. As e-way bill slowly, but surely comes into application across different parts of the country, states are now planning to step up checking as they suspect they are losing large amount of revenue. E-way bill is a considered a vital mechanism to check tax evasion under Goods and Services Tax (GST) and the government has been keen to get the system working. Originally planned for a February 1 roll-out, the site witnessed major technical glitches, prompting the government to take a staggered approach. E-Way Bill system for all inter-State movement of goods has been rolled-out from April 1, 2018 with the State of Karnataka being the first to make it operational. On April 15, intra-state movement of goods in Gujarat, Uttar Pradesh, Telangana, Andhra Pradesh and Kerala also come under the ambit of e-way bills. 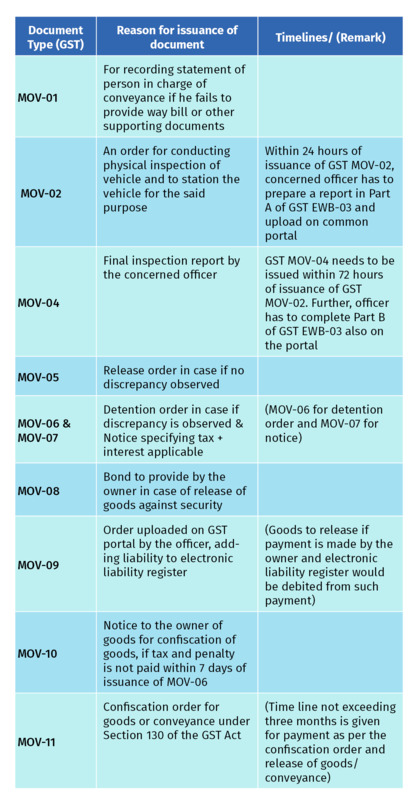 The government on April 13 issued a circular that has laid down the procedure for interception of vehicles carrying consignment of goods, for checking, detention, release etc. of goods carried in such vehicles. To prevent detention, it is important that in case of transportation of goods through road, way bill needs to be generated before the commencement of movement. According to the circular, interception etc. of goods and vehicles is to be done by proper officer authorised by the Joint Commissioner or any other officer specified in the Act. As per Circular No. 3/3/2017 - GST dated 05 July 2017, proper officer for the purpose of Rule 138B is Inspector of Central Tax. The guidelines state that the person in charge of the conveyance has to carry invoice or delivery challan along with a copy of eway bill in physical form or in electronic form. A eway bill number may be available with person in charge of the conveyance in form of a printout, sms or written on an invoice. All these forms are valid forms.